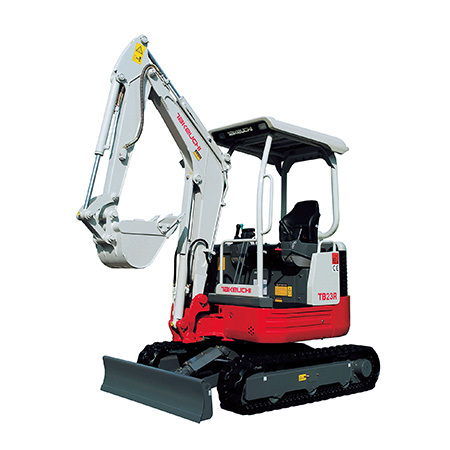 The TB210R delivers excellent performance and provides an impressive feature set in a very compact design. 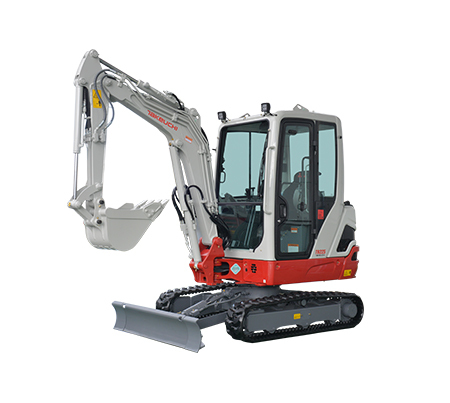 It features a retractable undercarriage, foldable ROPS, and minimal tail swing enabling the TB210R to work in the most confined applications. The TB215R is a minimal tail swing design allowing it to work in confined job sites with little concern for rear swing impacts. 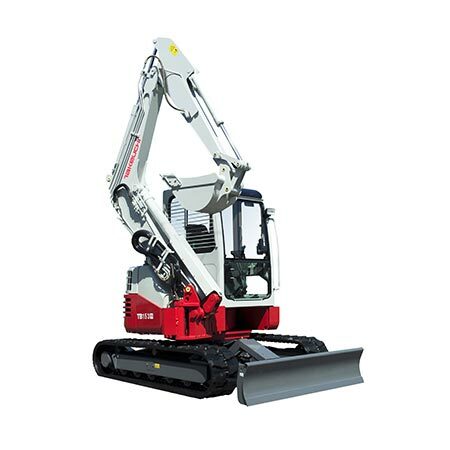 It features a retractable undercarriage enabling it to enter a job site with limited access, and once in position the track frame can be expanded for improved stability. 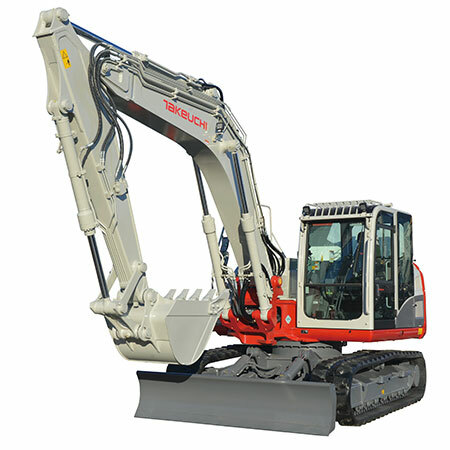 TB216 provides the operator with a nice blend of power and functionality. 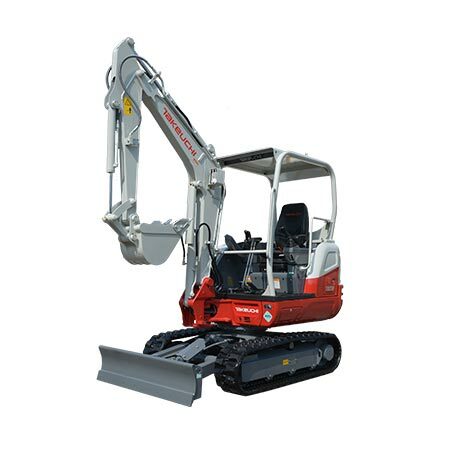 It is completely redesigned for greater operator comfort, performance, and serviceability. The TB219 boasts an excellent blend of power and performance. 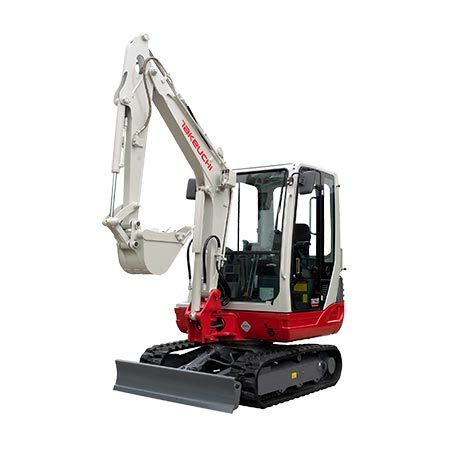 It features a retractable undercarriage for greater versatility, a long dipper arm to maximize working range, and an optional cab for improved operator comfort. 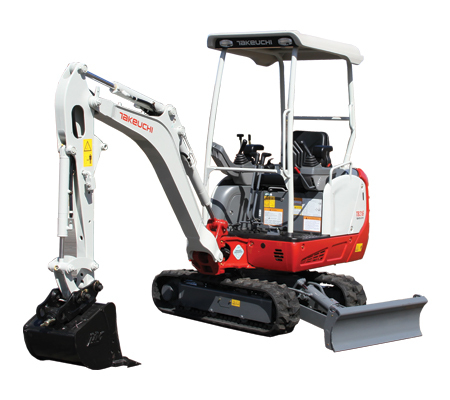 The minimal tail swing design of the TB23R allows it to work next to buildings or other obstacles with little concern for rear swing impacts. Its compact dimensions make the TB23R ideal for urban environments where space can be limited. 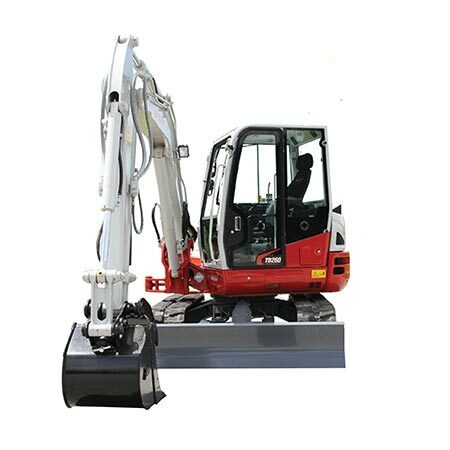 Serviceability is enhanced due to a tilt-up operator’s platform. The TB225 features all steel construction, a spacious operator station, smooth hydraulic pilot joystick controls that deliver precise responsive controls and best in class engine output. 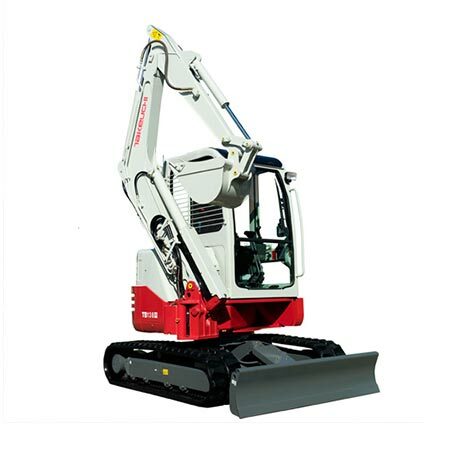 The TB225 provides outstanding arm and bucket breakout force, dig depth, reach and lifting capacity for maximum productivity making it a great choice for the most demanding applications. 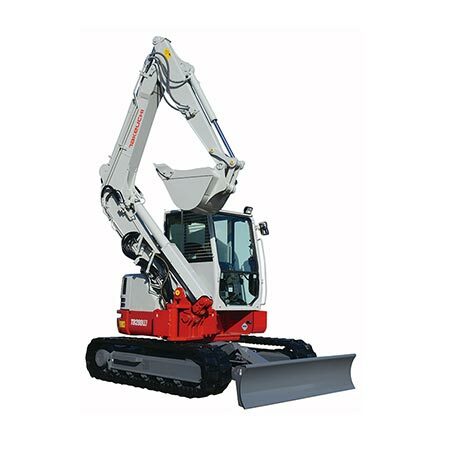 Additional features include automatic fuel bleed system, standard auto decelaration, a large wraparound counterweight and hydraulically retractable track frame that can be adjusted from 1,100 mm to 1,500 mm. The operator is protected by a ROPS / TOPS / OPG protective structure that keeps the operator safe and comfortable on any job site. 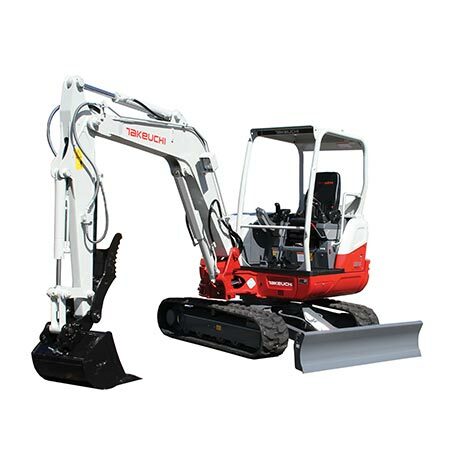 The TB228 provides exceptional breakout forces and working range, and the four pump hydraulic system delivers smooth multi-function operation without sacrificing performance. The operator’s platform is spacious and includes a deluxe high back suspension seat to maximize comfort. 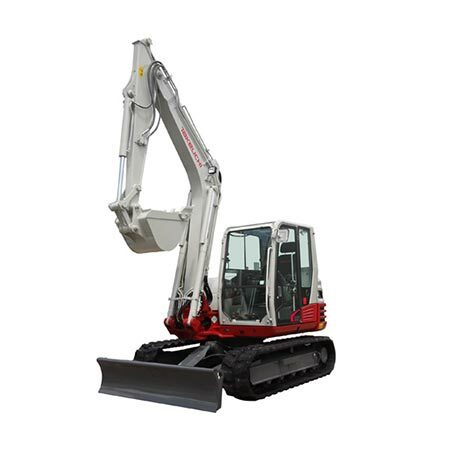 With its narrow width the TB230 is able to work on job sites with limited accessibility, and the conventional tail swing design provides excellent stability and greater operator space. The control valve and hydraulic components are now conveniently located under the right side cover for improved accessibility. The patented side-to-side (STS) offset boom combined with the tight tail swing on the TB138FR provides unmatched visibility to the work equipment and enables it to rotate fully with very little overhang. Its low center of gravity and optimized counterweight placement creates an extremely stable platform with lifting capabilities similar to that of a conventional machine. The TB240 provides exceptional power, performance, a wide working range, and an excellent feature set. The cabin is spacious and well appointed ensuring operator comfort and efficiency. The patented side-to-side (STS) offset boom combined with the tight tail swing on the TB153FR provides unmatched visibility to the work equipment and enables it to rotate fully with very little overhang. Its low center of gravity and optimized counterweight placement creates an extremely stable platform with lifting capabilities similar to that of a conventional machine. 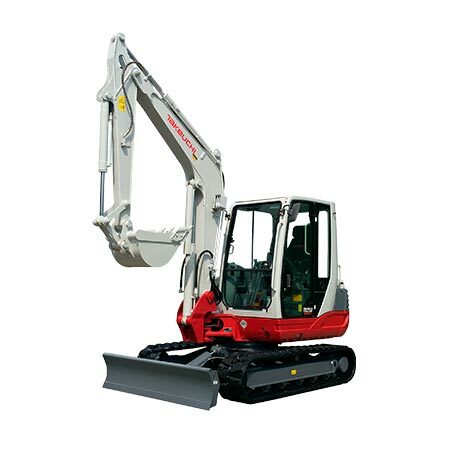 The TB260 has exceptional power, performance, a wide working range, and impressive feature set. The cabin is spacious and well appointed ensuring operator comfort and efficiency. With a wide variety of features that include several working modes, multiple auxiliary hydraulic circuits, boom holding valve, and overload alarm the TB285 provides unsurpassed performance, versatility and value. 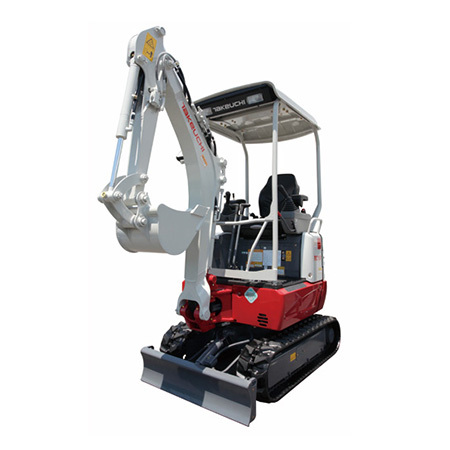 From the powerful and efficient turbocharged engine to the precision control of the load sensing hydraulic system this machine is well equipped to perform in a wide range of applications. 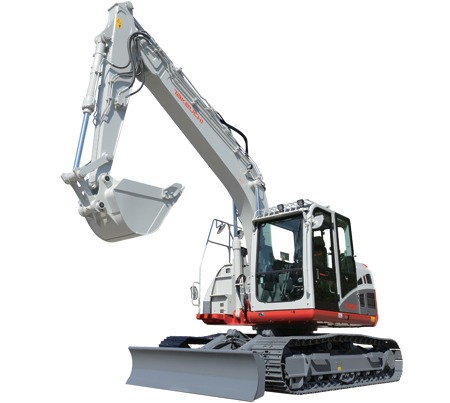 The largest excavator in the FR platform, the TB280FR features a patented side-to-side (STS) offset boom combined with the tight tail swing for unmatched visibility to the work equipment and enables it to rotate fully with very little overhang. Its low center of gravity and optimized counterweight placement creates an extremely stable platform with lifting capabilities similar to that of a conventional machine. 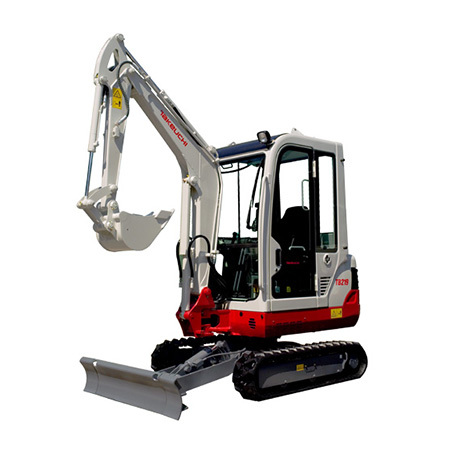 TB295W is a highly versatile wheeled excavator that has on-road capabilities coupled with powerful excavating performance. 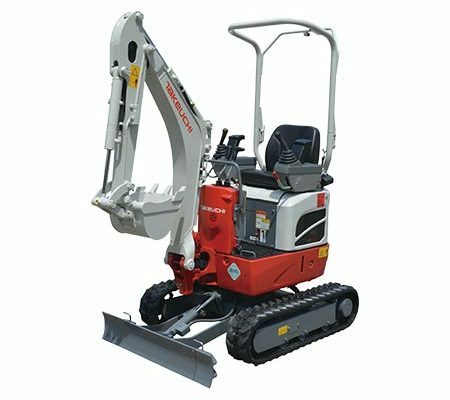 Multiple hydraulic circuits and attachment presets enhance versatility, and the locking differentials allow the machine to perform in demanding applications. 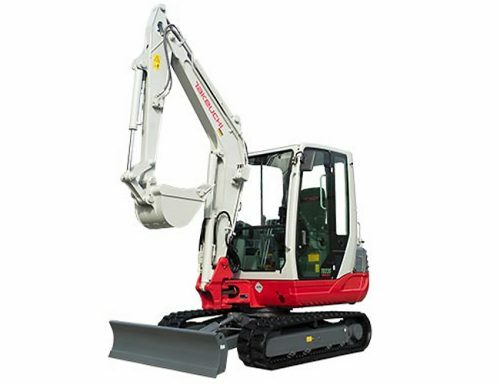 The TB2150R is the largest excavator in the Takeuchi line up. 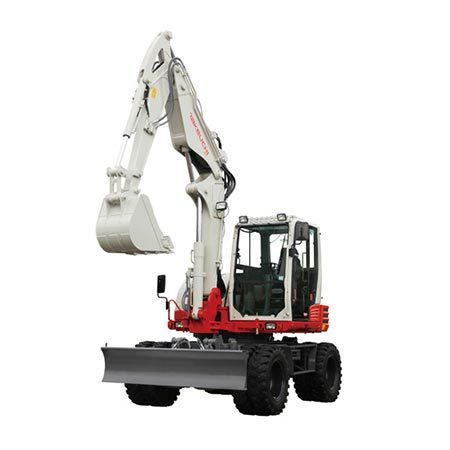 It features a fixed boom for greater stability and allows the operator to carry heavier loads. The TB2150R comes standard with a mono-boom that provides best in class digging depth (2-piece boom is optional). Unique in its class are the standard pivot boom and dozer blade increasing versatility. The cab is completely redesigned and features a suspension seat, automatic climate control, and a new color monitor panel to monitor machine performance and view the rear view camera. Multiple auxiliary circuits are standard equipment and make the TB2150 an impressive attachment platform.